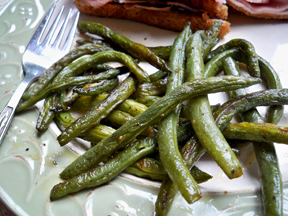 Salad Supreme Seasoning adds flavor pizzazz to fresh green beans. 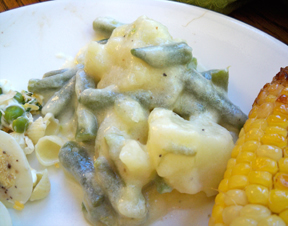 The blanching step helps the green beans keep their bright green color and crisp texture. 1. Cook beans in boiling water in large uncovered saucepan on medium-high heat 3 minutes or until tender-crisp. Drain immediately and rinse with cold water. Set aside. 2. Melt butter in large skillet on medium-high heat. Add onion; cook and stir 3 to 4 minutes or until tender. 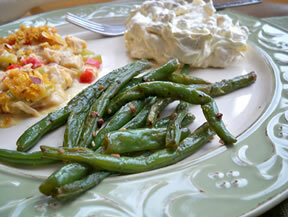 Add green beans; cook and stir 1 to 2 minutes. Add Seasoning; toss to coat well.